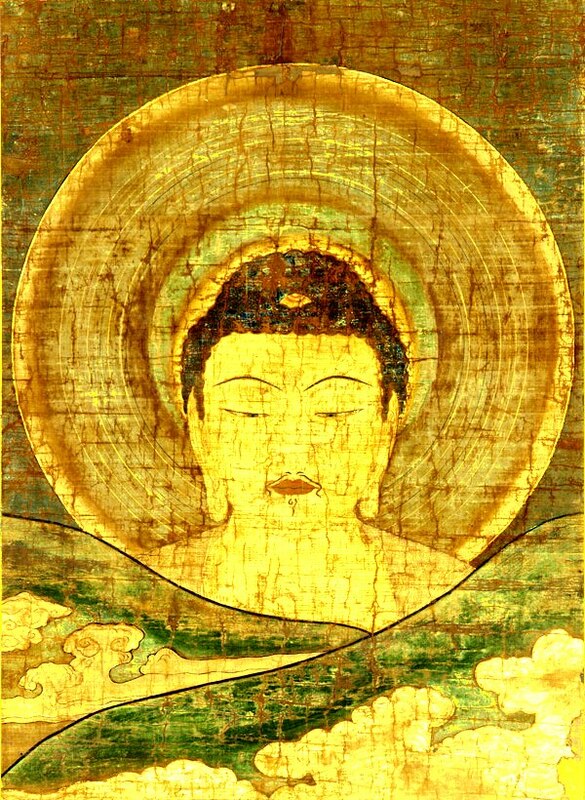 It is very important to understand that a Buddha like Amida is not an abstract concept, nor a symbol or metaphor, but a living Buddha who has a transcendent body with multiple manifestations for the sake of sentient beings. This body and His Pure Land are the result of His vows which, upon His Enlightenment, were fulfilled and transformed into useful tools for delivering sentient beings. 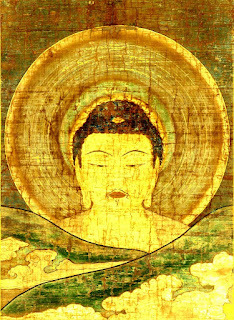 It is a grave mistake to speak about Amida Buddha only in terms of his ultimate reality beyond form (Dharmakaya as suchness) and forget his transcendent manifestation (Sambhogakaya or Dharmakaya as compassionate means) in form and Name, because without the form and Name of Amida there would be no possibility for us, sentient beings, to attain Buddhahood. We simply cannot have access to ultimate Dharmakaya or Buddha nature just like that, as we are in this present life and with this very body. So we need a transcendent bridge from this world of birth and death (Samsara) to Buddhahood. This transcendent bridge is Amida Buddha and His Pure Land. We first entrust in Amida Buddha as an Enlightened Person, go in His Pure Land after death and there we become Buddhas ourselves. As long as one is unenlightened, one cannot have faith in the Dharmakaya as suchness or ultimate Buddha nature. In Dharmakaya as suchness one can only dwell when he becomes a Buddha himself because in that state there is a transcendence of any duality. This is what those who deny the reality of Amida in His transcendental form and of His Pure Land, do not understand. We cannot understand ‘Dharmakaya as suchness’ but ‘Dharmakaya as compassionate means’ makes himself known in Light and Name. Dharmakaya as compassionate means is still Dharmakaya, but Dharmakaya in action for the sake of sentient beings.